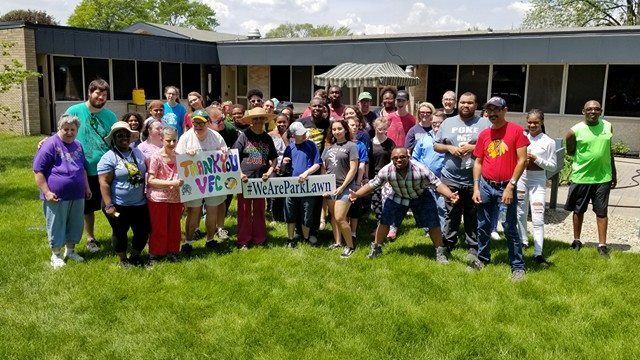 Monday thru Friday 8:00 A.M. through 4:30 P.M.
Park Lawn's mission is to provide services that promote independence, choice, and access to community living for people with developmental disabilities. We have 2 buildings in Oak Lawn for vocational programs that provide individuals with the opportunity to increase their vocational proficiency, to earn a wage with benefits and to contribute to their community. Our workers perform a variety of tasks such as packaging, poly-bagging, assembling of the point of purchase displays, collating, and sorting. 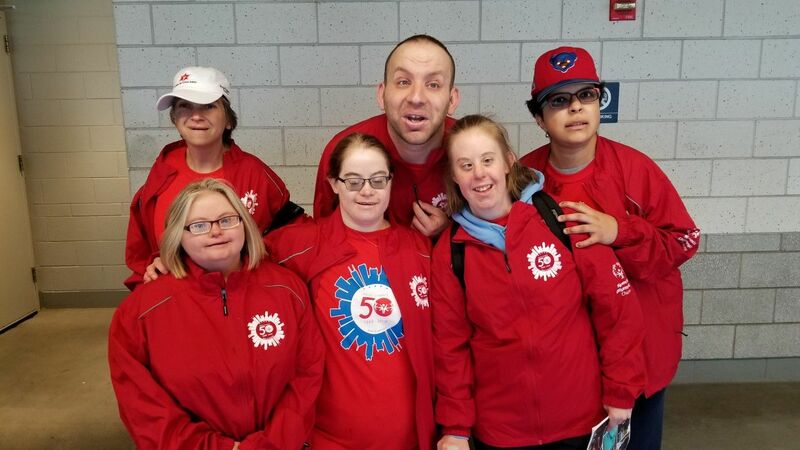 Our commitment to providing quality services to our vendors is rooted in our belief in providing quality services and opportunities to people with disabilities. We offer our customers a convenient, competitively priced service to get the job done right - the first time! Park Lawn will customize our services to meet your company's individual needs. With our extensive history and proven record of customer satisfaction, we can help you bring your product to market quickly. Park Lawn is in the heart of Southwest Suburban Chicago business district with space to accommodate major production projects. A 50,000 square foot heated warehouse, multiple shipping and receiving docks and a full sprinkler system provide the assurance of a secure environment for all of your materials. Park Lawn has a shredding program where "You Produce It, We Reduce It". 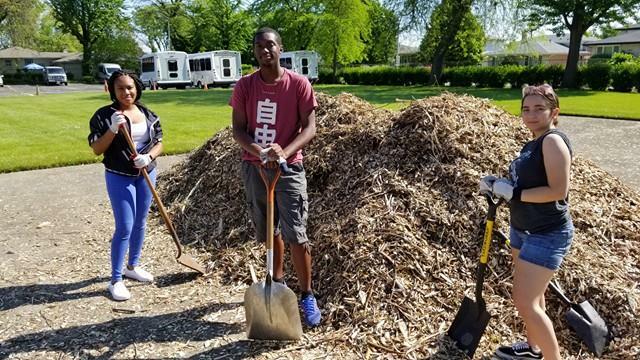 Through Park Lawn Services shredding program, we help customers improve their recycling efforts by providing efficient, reliable handling and destruction of materials. Whether you have a few pounds or a ton of documents, Park Lawn Services has the manpower and capability to handle your shredding requirements. It's a cost-effective way of destroying and recycling your documents. Our Supported Employment Program (SEP) matches individuals to jobs within their local community. This provides mutual benefits to businesses and individuals alike. Businesses gain qualified and dedicated employees and our individuals gain independence, self-esteem and the satisfaction that they are contributing back to their community. Our program strongly believes in the promotion of public awareness of the capabilities of individuals with disabilities. Park Lawn also provides 10 facilities for residential environments for adults. Each is attuned to the individual needs and capabilities of the residents. All are given the opportunity to exercise choice, access mainstream community life, and to share in overall household duties. "Keep your face always toward the sunshine – and shadows will fall behind you." 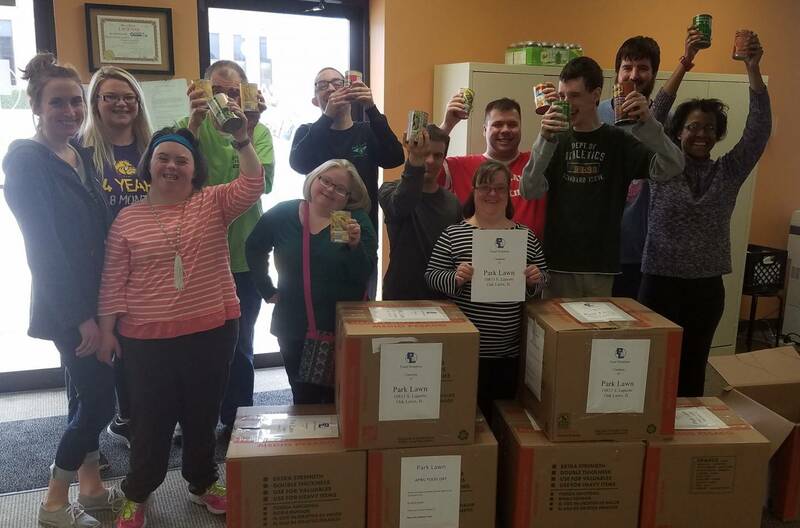 The Park Lawn Charity Wellness Team is pleased to announce our annual food drive, known as April Food Day. 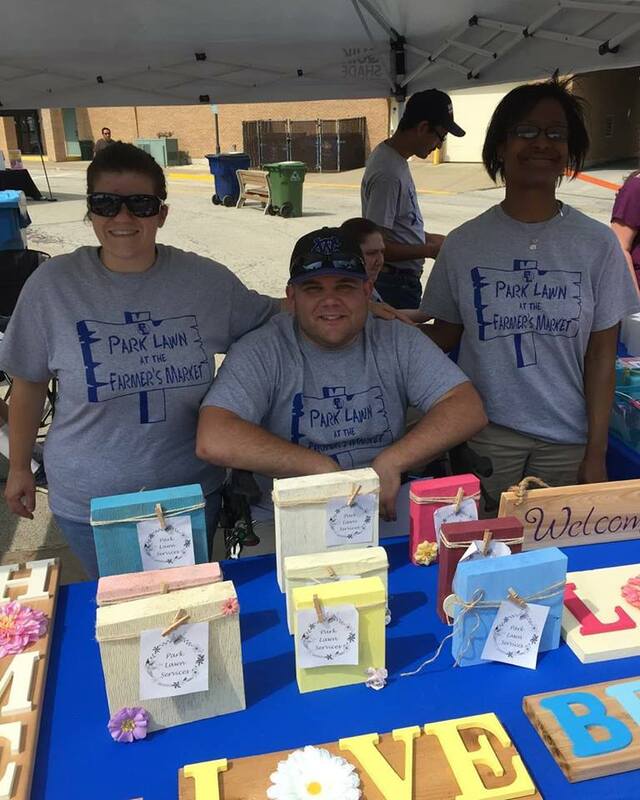 Have you visited Park Lawn Charity at the Village of Oak Lawn's Farmer Market?! Park Lawn will be on hand every Wednesday from 10:00 AM to 1:00 PM selling beautiful arts & crafts handcrafted by our very own Park Lawn participants. Later this season we will have our very own organic vegetables to choose from! Students from Morgan Park Academy helped beautify our grounds. MPA students hard at work distributing the mulch! 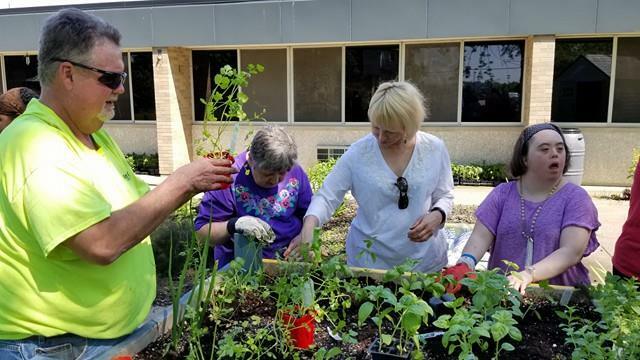 Our volunteers along with our participants planted this seasons crop of vegetables to sell at the farmer's market!